With more than 5000 acres of ski trails, Vail Ski Resort is the biggest (and some say the best) resort in the United States. Every year Vail draws crowds from those just learning how to ski or snowboard to some of the sports’ hottest celebrities. Even non-celebrities need a comfortable place to relax after a long day on the slopes. Based on their amenities and of course guest reviews, here are our top picks for where to stay in Vail. Four Seasons means luxury and that’s just what you’ll find at this resort. This stunning hotel has received almost all of the travel rewards out there and has been named on Conde Nast Readers’ Choice List and Travel & Leisure’s 500 World’s Best Hotels list. Many rooms feature gas-burning fireplaces and furnished balconies, and guests rave about the top-notch service. Guests particularly love the food at on-site restaurant Flame. The Arrabelle brings luxury to a whole new level, even for Vail. This European-style ski-in/ski-out hotel features large guest rooms and one- to five-bedroom private residences. Even ski fanatics might have a hard time leaving the spa or the rooftop hot tubs, and guests love the restaurant, Tavern on the Square. If you are looking to splurge on a romantic weekend away, even in the off season, you’ve found it. 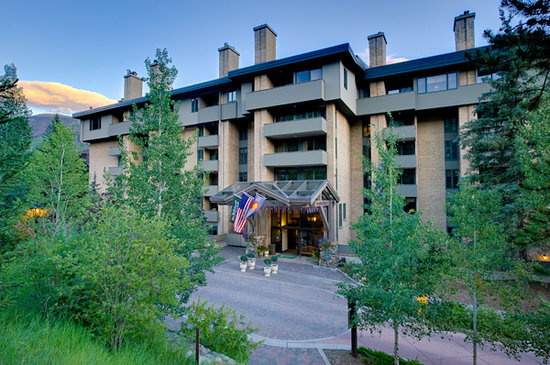 The winner of TripAdvisor’s 2013 Traveler’s Choice award, family-owned Tivoli Lodge in Vail Village has been providing luxury accommodations to Vail visitors since 1968. The hotel is within easy walking distance of chairlifts and the new Gondola “One,” and ski storage is provided, but really, the Tivoli Lodge experience is all about the little things that make for a memorable stay, like complimentary cookies and hot chocolate every afternoon. But the best thing about the hotel is the price—think all of the luxury of Vail for a fraction of the cost. Sonnenalp is on every top ten Vail hotels list out there. If you are a skier, this is the place for you. Through the Ski Concierge program, you can rent equipment and ski clothes, so you can literally just pack your toothbrush and still have the full Vail experience. After the adventure, relax in front of your own private gas fireplace and warm your feet on the heated floors. It is really hard to focus on just the best aspects of this hotel as guests love, well, everything. If you are traveling with a group and want a more “typical” (but still upscale) ski lodge experience, check out Vail’s Mountain Haus. 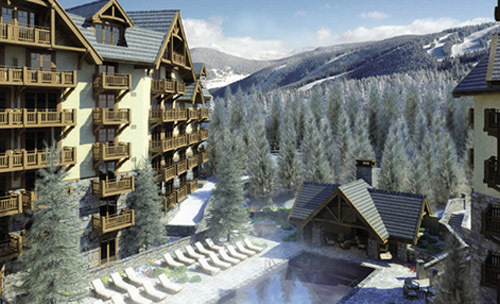 Located in Vail Village, Mountain Haus offers studio to four-bedroom condo-style accommodations. This pet-friendly property is perfect for skiers, spa-lovers, and those who just want to explore this charming town (hint: check out the last-minute specials). The Sebastian was recently named Travel & Leisure’s top hotel in Colorado, and it isn’t hard to see why. This boutique hotel has been wowing visitors since it opened in 2010. Even the standard rooms feature a stocked mini fridge, a Nespresso coffee maker, plush robes, and even turndown service. The Bloom Spa is highly rated in a town known for its spas, and Yelpers love the hand-crafted cocktails at Frost bar. Frommer’s describes Vail Cascade as “a wonderful choice for those who love pampering,” and who doesn’t love pampering? This isn’t just your typical luxury ski resort. With its variety of accommodations from standard hotel rooms to four-bedroom condos, athletic club and spa, kids activities (including babysitting services), multiple dining options, and even a market, Vail Cascade is more like a full-service resort city. In any season, this is an ideal getaway for the whole family. If your winter calendar doesn’t include a trip to Vail, well, it’s time to revise your plans! The ski season opens on November 22, so make your reservation on Hotel Engine today.